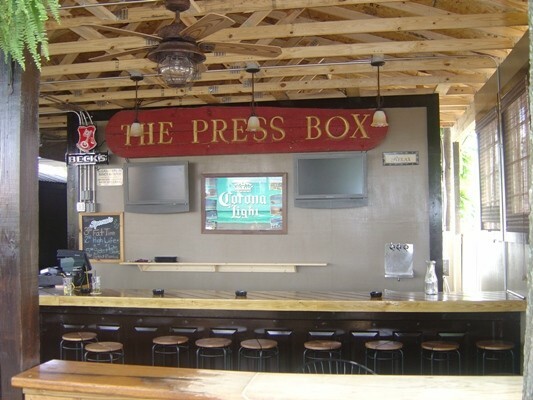 Between Moosehead Grill, Angry Ales, George Pappas and Jeffs Bucket Shop, I used to refer to Montford Drive as Dive Drive, but its a little hard to now that Andrew Blairs has opened for fine dining and wining, and one of the most famous dives, The Press Box, is now a premium pub  Brazwells. 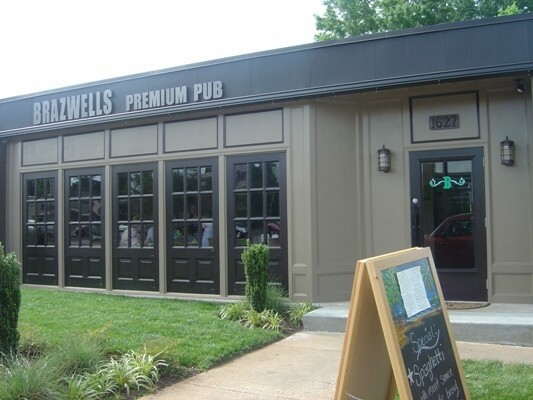 Brazwells Premium Pub recently opened and it already has regulars. It gets crowded on weekday nights but all-out packed on the weekends, the owner gushed. But thats not a bad thing because the new layout makes it more spacious than the Press Box was, and the new front made up of windows as opposed to a drab brick wall makes it more luminous in the interior. In other words, its no longer a dark box of smoke. But the patio remains the same ... even the signage. Brazwells has a good menu for both its food and bar, which is good for Sarah Before Dark and Brittney After Dark.